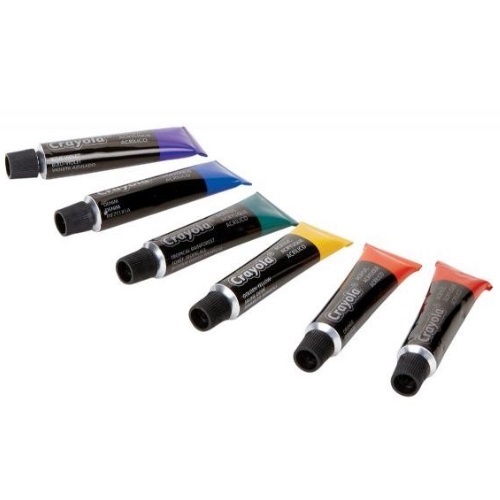 16 vivid, highly pigmented colors provide superior coverage and maximum blend-ability. 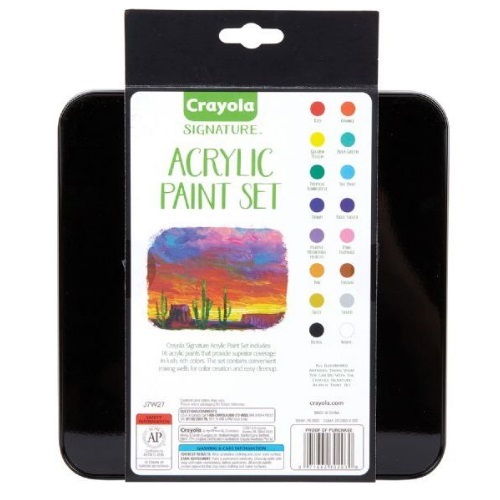 Includes reusable mixing trays that are perfect for blending color and a high-quality, shed-free paint brush. Comes in a decorative tin for storage.